Mom, the Intern: What I've learned from post-Election Facebook. What I've learned from post-Election Facebook. So, Mitt lost. I'll admit I was sad and even a little scared about the nation's future immediately following the election (nothing a bowl of Reese's Puffs can't fix). I'm still wary as I am not impressed with what the past four years under the Obama administration has brought us. I know some people are thrilled -- I'm not. I have my reasons. I know many of my Mormon friends have seen this statement as it has been posted and re-posted hundreds of times on Facebook in the past day. Yet the general climate reflects anger, fear, hatred and turmoil. I get it. It's not like I jumped for joy when Obama won. But it's time to stop with the crazy, paranoid rhetoric. It's not going to change the outcome nor the direction our country is headed. And if you're sincerely worried, get prepared. My thought is, an economic downturn is coming no matter who is in office. Have you SEEN our debt lately? Truly frightening!!! So let's all stop blaming one person and start talking about how we can get ready for this. 'Cuz if it happens, it's gonna be BAD. Anyway, these are some things I've learned from Facebook since the election has come and gone. Maybe you observed the same things. I think they're worth talking about. 1) The Internet brings out the worst in people. I have been watching this concept in action for years, but it seems to get much worse during an election. I actually had to hide some of my good friends and even trusted mentors from my news feed due to the way they were acting toward their political opponents. (I'm sure people hid me after the Romney pumpkin). It's outright nastiness which I haven't had the pleasure to endure since high school. And it's disturbing on so many levels. Apparently, the Internet gives us amnesia so we forget we're talking to actual people with feelings. I don't see this changing any time soon so I'm gonna leave it at that. 2) You'll never win me over if you belittle me. While we're on the subject of Internet tastelessness, I'd like to issue a PSA regarding Internet debating: When you start insinuating, even slightly, that I'm stupid, ignorant or haven't thought something through fully, I'm done listening to you. When you are respectful and considerate in stating your opinions, I actually will listen to you. I experienced this first-hand the other day. I'd made a comment about one of the propositions on the ballot and two friends who disagreed wanted to explain their side. One was arrogant, heated and belittling in his approach. The other acknowledged my opinion and presented his opposing view in a logical yet respectful way. Whose viewpoint do you think I heard? 3) People with knee-jerk reactions should stay away from Facebook. These folks -- and I love and adore many of them -- lose a lot of friends when they post without thinking. Yes, everyone is entitled to speak their minds, First Amendment, yadda yadda. But as my wise friend Megan said on her blog,"Just because there are social media platforms that will accept anything you type into them, that doesn’t mean you should post every thought you have." I agree with her. Exercise some self-control before you really hurt someone. Either that, or steer clear of Facebook until your anger has subsided. 4) Even adults can be sore losers and winners. If you've ever been to a Little League game, you already know this is true. But Facebook is making it more apparent than ever. I'm gonna get all preschool teacher on you here: It's OK to be sad if you lose and happy if you win. But you don't need to rub it in others' faces or sulk or go on a tirade or threaten people. I mean, really. Winners: be grateful. You got what you wanted. Be sensitive to those who are upset with the outcome. Losers: you don't need to flip out and go whining all over Facebook. It just makes you look bad. 5) We all have opinions that aren't likely to change. I'm not saying we should all stop discussing politics or sharing our perspectives with others. We should! It's the healthy, human thing to do. But just be aware that you will likely never convert someone to your way of thinking in a Facebook comment or two. People are stubborn and like to be right, so realistically, their opinions will stay the same unless they encounter an experience in their own life which changes it. For instance, a person might be staunchly against universal healthcare until someone close to them gets cancer. But don't think they're going to change their minds simply because you post, "Universal healthcare suuuuuuucks!" Especially if you say it like that. But even if you're articulate and respectful, people have their opinions for a reason. So I'd say 9 out of 10 times, it's not worth wasting your breath over. Or, in this case, your typing muscles. I love this post and I totally agree. I can't even get on facebook lately because I am so dissapointed at the nasty things that people will say to their friends because they have conflicting opinions. People need to be nice! Amen. If I read ONE MORE the-world-is-going-end post on facebook I might scream. Or throw my laptop. Enough! Let's move on and worry about the things that we DO have control over, and prepare our families for whatever chaos may ensue. I posted a few articles on facebook about the election, but nothing tasteless or rude. I can be relevant without being rude or obnoxious. oh man alive it was pure madness!!! 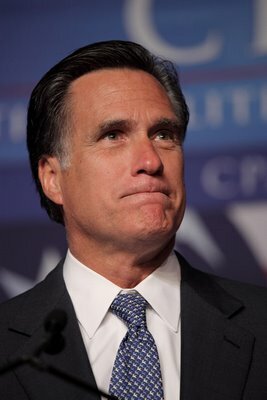 i went to bed early and didn't know who won until i got up and read all the anger, so i knew mitt lost. hahaha. so i posted that we should just calm down, take a deep breath, and move on the Lord is our your side. i got a few people in my ward giving me some grief for being so positive. yikes! i was shocked. hahaha. All I know is that I'm going to miss looking at Mitt Romney's handsome face on TV. I sure wish he would have been the next President of The United States. I feel like someone just pulled a rug from underneath me and I landed on my already broken tailbone. I even feel like someone just backhanded me real hard against my face. I'm just glad that Granny isn't here to witness the loss! (Jenna you know what I'm talking about.) Let us all press on and not take for granted our freedoms that we would die for. God bless America! Reason #937 I'm glad I ditched Facebook 2 years ago! This election was so ugly...just ugly. It brought out the absolute worst in people! It's time to move on, and I hope we all can. Great thoughts, as always, Jenna! I'm proud to be that person that not once posted something about the election besides a "Oh Joe, you're so silly" comment. I find it so irritating with all the smug comments/whining that happened right after - I almost blocked some people. Oh my, everything about this I can agree with. I have had to hide and even unfriend several people. It just gets so sickening to hear, over and over again, how you're stupid if you don't believe this, dumb if you don't support that. There's no productivity in it, you're just being mean because someone doesn't agree with you. Facebook and twitter can really bring out the worst in people. But this was so refreshing to read. There ARE sane people out there! I love everything this post chooses to be. :) Seriously though, enough with the post-election facebook drama! I mean sure, I believe in freedom of speech and all of that, but it doesn't mean I want to hear/read the constant vitriol from both sides. Thank you for so eloquently putting exactly what I've been observing and thinking. So true...all of it. It was awful all the terrible things that were being said on both sides. It really made me see people differently and like you said - it brings out the worst in people. Which really is awful, isn't it? When you consider that the election is about two men (both good men) who were running in a campaign to try and make this country better. Sad. I am SO glad it's over. Although I still expect to see random posts from Obama haters. But whatever. There were so many times I wanted to respond to people (not with an opinion, but with a comment about how crazy they were being) but just held my tongue. I decided that saying nothing was a lot better than joining the insanity around me. LOVE LOVE this!! I totally hide some people from my newsfeed over the last several months. Plus I have some friends who will complain about the disrespectful rude stuff people post and then turn around and post something bad themselves but their things is funny- or so they say.